A velvet rope alone does not a nightclub make; neither do heart-attack cocktail prices nor inscrutable door policies. 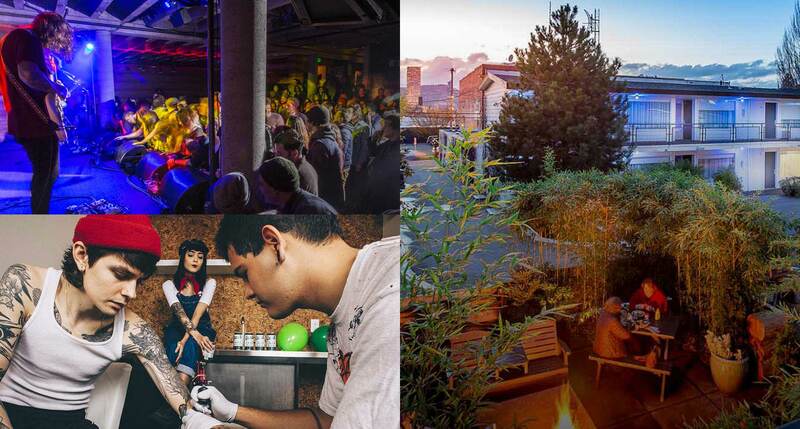 When in doubt, we say follow the locals: to the brace-yourself rooftop panorama, the ingeniously sly layouts, the truly reliable music programming. You could stay here all night, and you just might. With more than a few runaway party-starting successes under its belt, Spain’s Meliá Group was a natural fit for the next scene-stealing hotel in Cabo San Lucas. 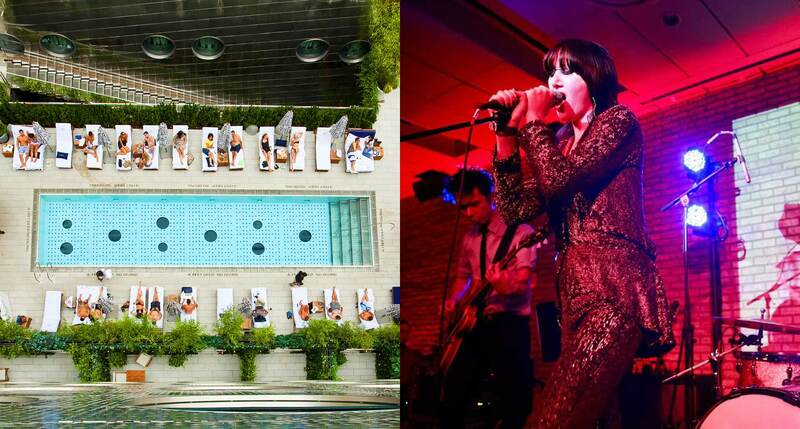 This pool pulls no punches; expect fire jugglers, brawnily thudding bass, nonstop cocktail pours, and a parade of impeccably taut and toned partygoers. 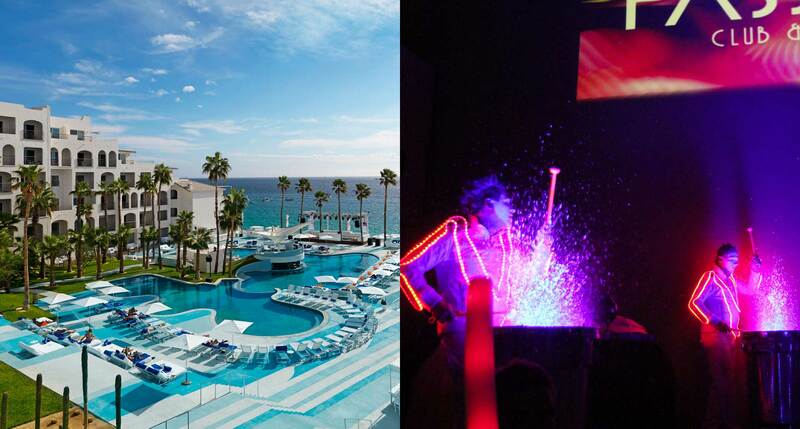 Daybed, meet nightclub. 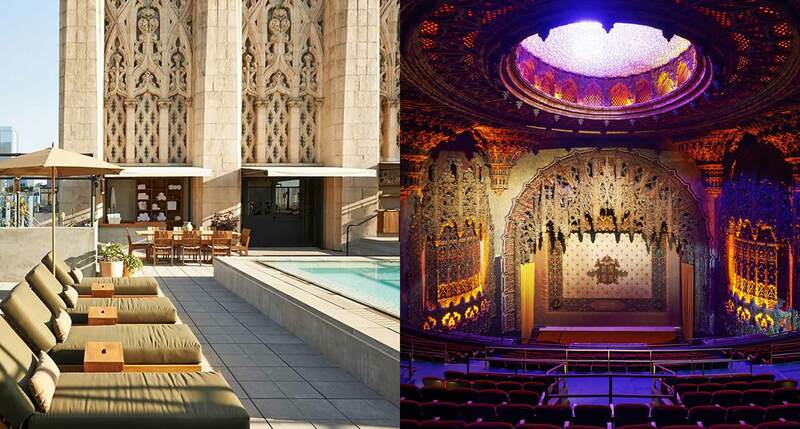 Mirroring its former life as the United Artists Tower, LA’s Ace outpost neatly summarizes the hotel brand’s own rise to the highest echelons of in-the-know party culture in a city rife with serious competition. 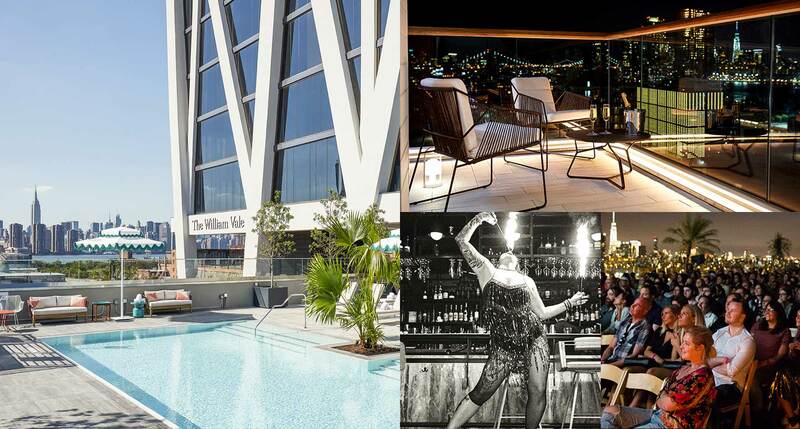 Timeless Hollywood glam suffuses the whole endeavor, which of course you’ll traverse en route to the buoyant rooftop complex. 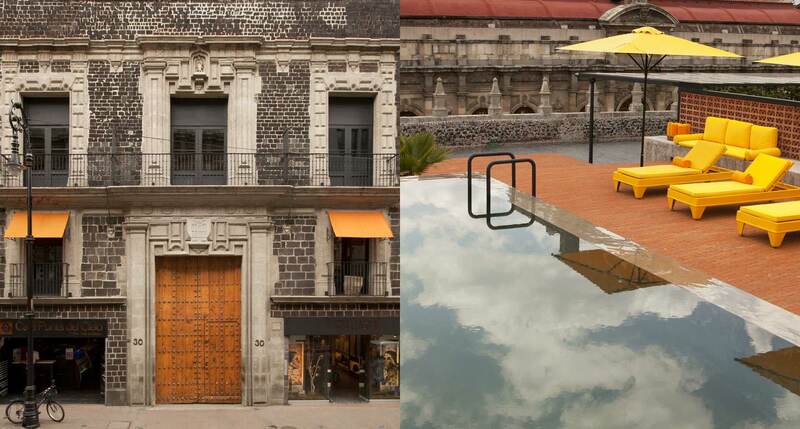 Palatial though it may be, 17th-century brick frontage doesn’t exactly scream let’s do this; all the better to surprise yourself with Downtown Mexico’s heart-stopping skyline views and rooftop lounge-and-swim vibe. You don’t just coincidentally draw herds of trendspotters in this business. These folks are clearly doing something right. In an impish power move, Dream’s Meatpacking boutique situates the pool directly over the lobby, complete with suggestive circular portholes between the two, and that’s before we even consider PH-D’s get-in-if-you-can door policy. The pulsing action never stops, nor should it; even the hangover nursers dress to impress, and the sheer lobby chic factor is off the charts. Then again, there’s something about a down-home good time that keeps drawing us back, unpretentiously confident in that time-tested American way. Drop your stuff off, change into something you can move in, and make your way next door to the Doug Fir Lounge for that perfectly Portland live music experience. 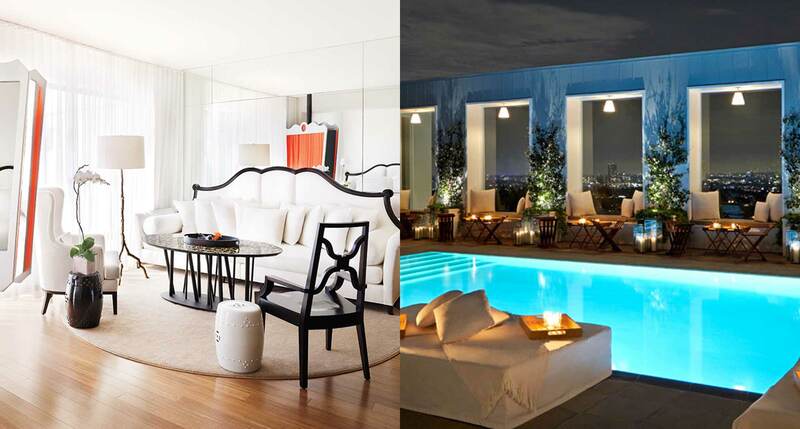 “A hotel on Sunset” would do it for most, but “most” doesn’t quite cut it here; LA’s Mondrian is all about exceeding expectations without giving the game away. 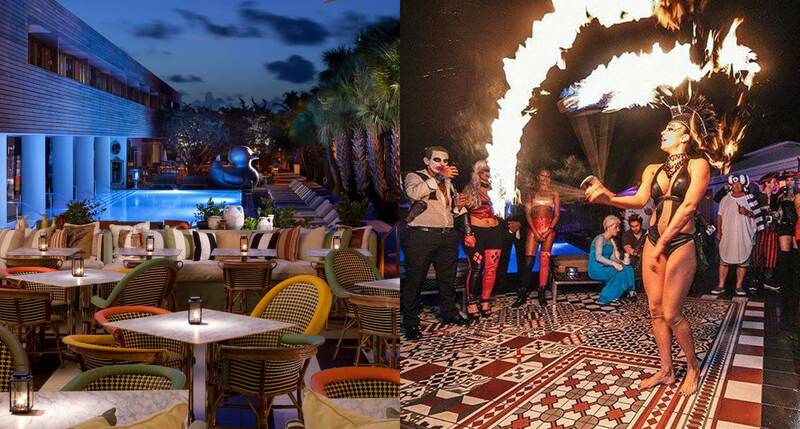 That means a mercifully strict door policy at Skybar and an aesthetic extravaganza — guests and design alike — when it comes to poolside couture. Never change. 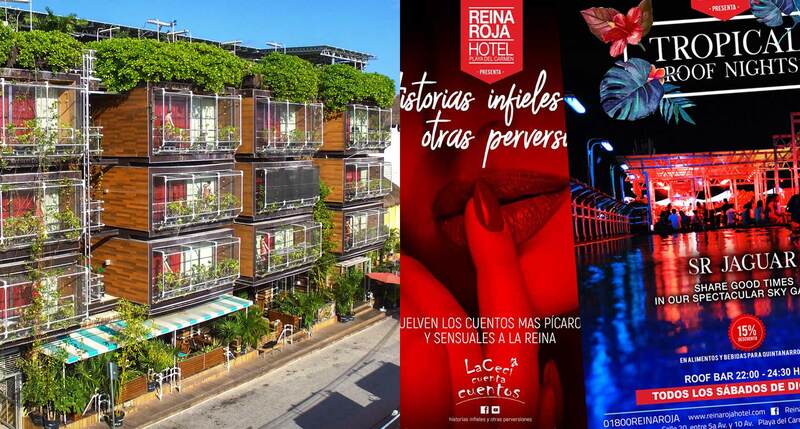 We’re in Playa del Carmen and we are not in the mood to keep it subtle: from the out-there guestroom themes to the saturating washes of DJ-friendly light in the club spaces, this is loud and proud beach-bumping at its best. You’ll sleep when you’re dead; meanwhile find a drink, a beautiful friend or five, and enough space on the dancefloor to prove that point you’ve been meaning to make since you walked in. There’s a full-bore sense of decadence that only exists (and makes sense) in Miami; the 700-pound silver “toy” ducky presiding over the SLS’s pool should give you some idea of just how over-the-top things can get around here. That they manage to keep you divinely comfortable, drink in hand in a private cabana, speaks volumes to their expertise. For those of us in need of a caution-to-the-winds Vegas trip for the record book (because you certainly won’t remember a thing), the Cosmopolitan should just about do it. 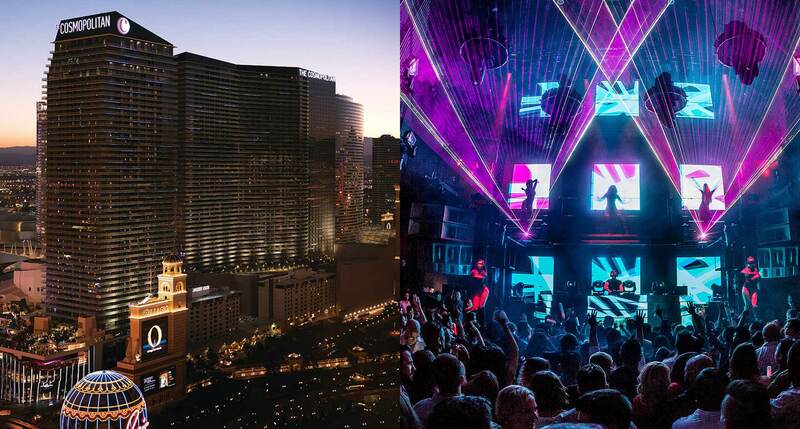 The numbers speak for themselves, as fits the Sin City mentality: over 3,000 rooms and suites. 100,000 square feet of casino. 20 world-class restaurants. Want to try your luck? There’s no mistaking this one in the Williamsburg waterfront lineup, which accords rather well with the all-eyes-on-me sensibility that rules the neighborhood’s sleepless street scene. There’s a sizable lap pool, rare and valuable given the city, and a packed events schedule to keep things eclectic as twilight gives way to the witching hour.